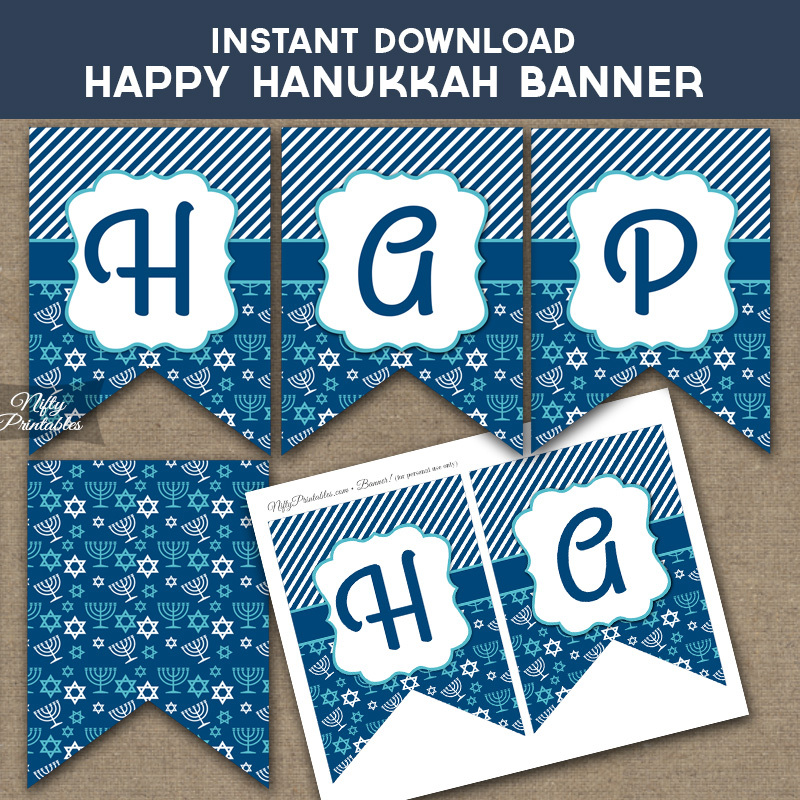 A charming and unique instant download Happy Hanukkah banner. It's blue, turquoise and white, featuring stripes and a pattern of menorahs and Stars of David. It spells out “Happy Hanukkah” and includes a patterned spacer.